With the conclusion of this vacation, all that remains are Alaska, Hawaii, most of the Pacific Northwest and a few random states out east to reach my stated goal of visiting all 50 states before I turn 40. We'll see if I make it! The newest addition to my list was, of course, Oklahoma. On the way down, Oklahoma is when we first started to see the color green for the first time, which was a refreshing balm to our souls battered by the brutal winter. I think what struck me the most were the number of stunning views- especially in Northern Oklahoma- it seems like you could see forever sometimes, which was nice. We hit Oklahoma City around rush hour, which was unpleasant- pushed on through to Purcell, where we made a quick pit stop for snacks at the local Wal-Mart-- I saw a Mazzio's Pizza for the first time in probably a quarter century, which was kind of a nice blast from the past. Then, we pushed on south toward Texas and found ourselves in actual mountains. (Well, compared to the Rockies, no, not actual mountains, but I think they'd fit the definition when compared to say, the Appalachians). 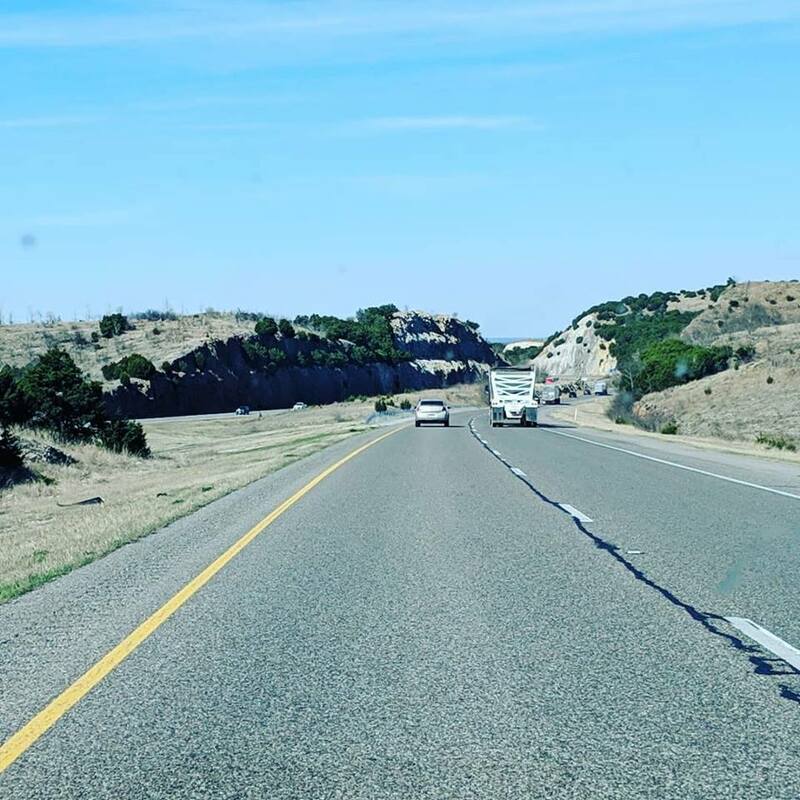 We pushed over the mountains into the heart of Chickasaw Country and then we were crossing the Red River and into Texas. Things I didn't know were a thing until we got to Oklahoma? First Nations License Plates! I guess, given the important part that First Nations* folks play in the history of the state, that makes a certain amount of sense- but it certainly added a new dimension to the License Plate Game that the Missus and I usually play on these long road trips. So, Oklahoma: I'd like to know more and visit again. *Yes, I know this is technically the Canadian term for Native/Indigenous folks, but I like it. It seems more accurate and acknowledges their sovereignty right up front.